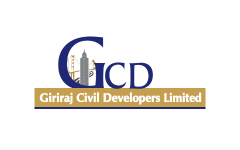 Business description - Giriraj Civil Developers is a civil works contracting and engineering company. Its current concentration is on the Railway sector projects, where it undertakes a wide scope of work which includes construction of foot over bridges, platform extensions; sick line sheds, stabling lines etc. It has also ventured into other infrastructural projects for government / semi-government bodies like MCGM and MRVC and for various private players. Most of its projects undertaken are in the states of Maharashtra and Gujarat. The company has successfully completed several projects since inception in 2005 and currently has 21 ongoing projects. The company’s revenue model includes projects undertaken as direct contract from various government, semi-government and private parties, sub-contracting for other infrastructure companies and also trading of certain construction material. Giriraj Civil Developers IPO allotment status is now available on Cameo Corporate Services' website. Click on this link to get allotment status.